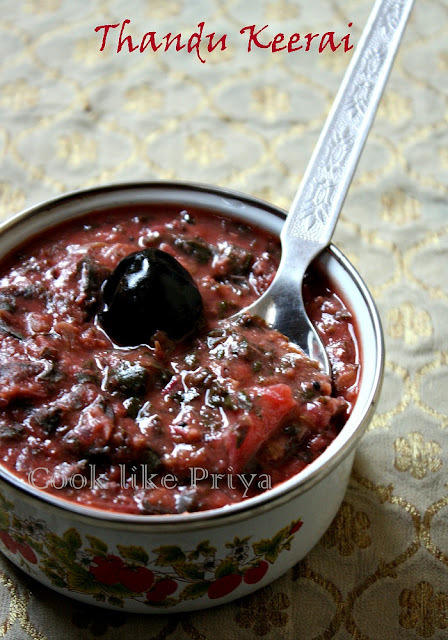 Red Spinach or Thandu Keerai is yet another variety of spinach which is available seasonally in India. Very low in calories, fresh spinach is a good source of vitamin C, vitamin A, plus iron and other essential minerals. Although they are similar in taste and texture as that of the green spinach the gorgeous color of the red spinach leaves does really attract you and you are sure to get a curry that is similar to their color. Red spinach is versatile just like the green spinach, you can add them in salads, curry and stir fry. If there is one vegetable that is made frequently in our household it is cabbage. I must admit that chopping them fine is a challenge but I take the short route to shredded them with a bigger holed shredder. 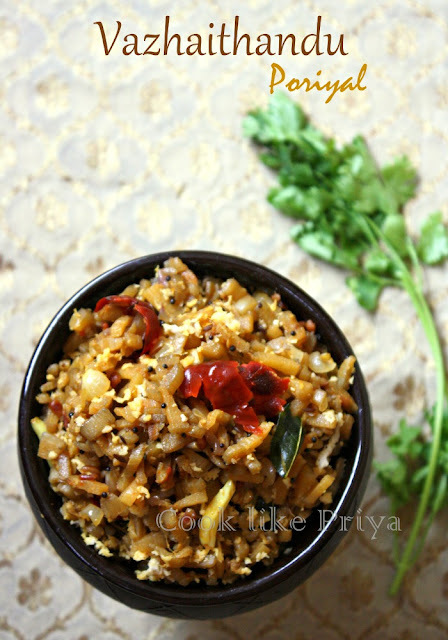 Usually cabbage is known to be cooked as poriyal or kootu or with dal but today my dear Amma came up with a mixed rice recipe. 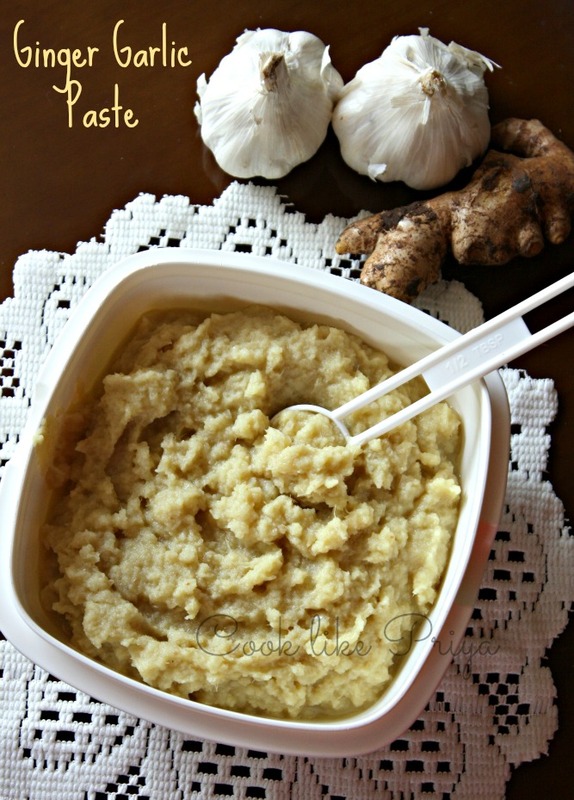 Its surely a unique recipe and tasted great for those days when we want to go purely vegan. 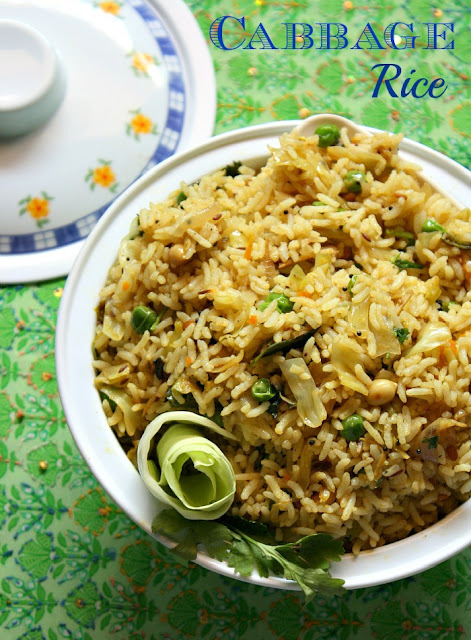 I love to have this mixed rice along with fryums/ potato chips and potato masala and may be some curd too. Kootu is my favorite side, I love to have it all 7 days in a week. 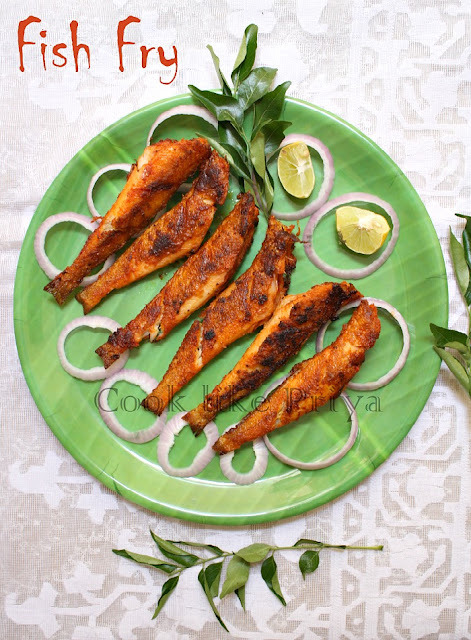 This simple kootu is so flavorful, authentically made thick and served as a side for rice and any tangy spicy curry like Pavakkai Puli Kuzhambhu. 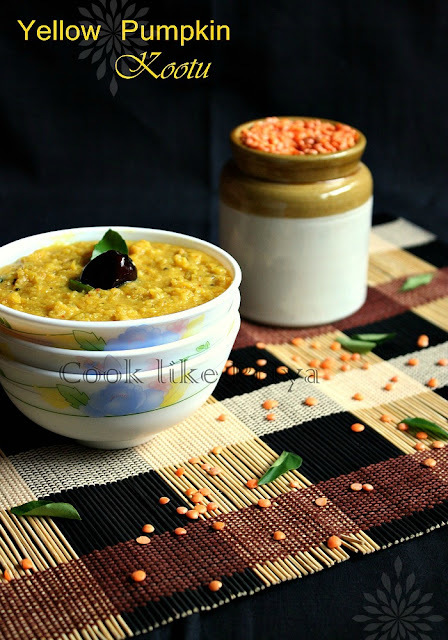 Masoor Dal is similar to moong dal but varies in its taste, does not require soaking and can be cooked in a flash. Hope your friday is good, mine went busy... Happy Weekend All!!! A simple and quick veg side would be potatoes Its such a versatile ingredient and is super filling too. In Indian cooking potatoes are used in mains, sides, curries and snacks along with both vegeterain and non-vegeterain cooking. I have seen both kids and adults enjoy them equally. My favorite recipes of potato are potato masala (poori), masala potato, potato tikki, aloo paratha and potato kurma. Today I am sharing a simple and quick version of Garlic potato stir fry which is packed with flavor and is great as a side with rice & curry. The flavors of garlic lifts the dish well and combined with spicy soft potato chunks makes it a wholesome platter. 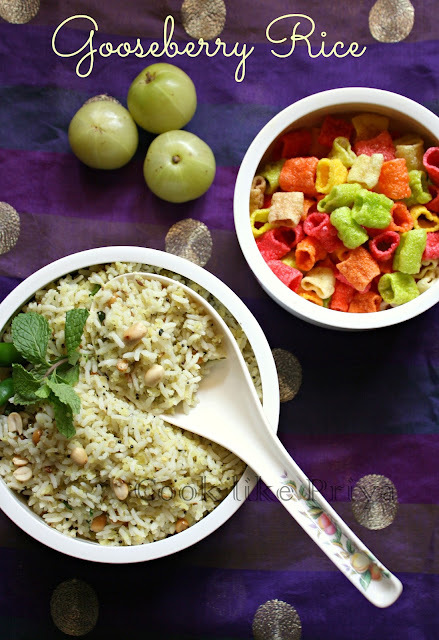 Gooseberry/ Amla as its fondly called in India is known for its goodness and sourness. Most Indian hair oil/ related products have the extract of Amla, its an undeniable fact that they help in hair growth and even to prevent pre-mature greying of hair. Amla also is rich in anti-oxidants and is known to lower cholesterol, slows tumor growth and also reduces blood sugar level. 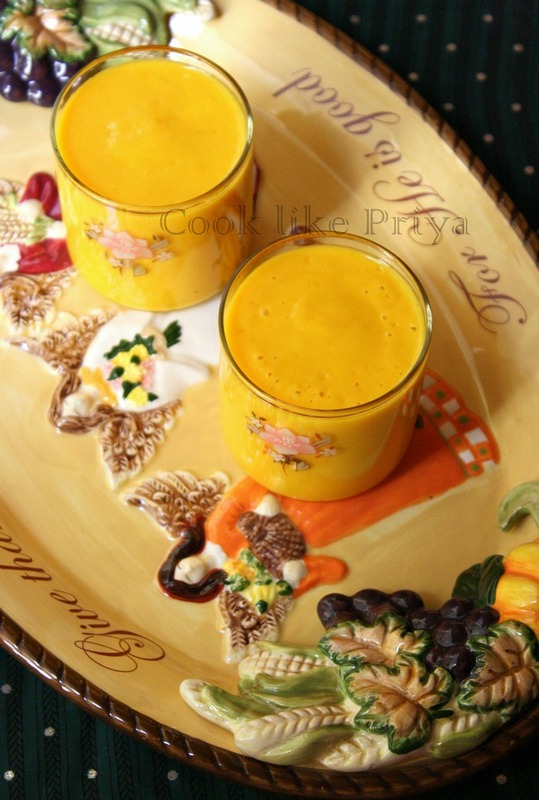 Its rich in Vitamin C and it is said that it had twice the amount of Vitamin C to that of 2 oranges. My experiences of this fruit is not so pleasant as its taste. Whereas for Amma this is like raw mango to her she simply loves it. I have seen her munch this sour fruit along with red chili powder as a snack. So when I was home, she made this Amla rice and to my surprise I actually loved it. Banana Stem is packed with fiber and if you are someone who is looking to shed some weight, then this is a must in your diet. Most of us think that this is a tasteless vegetable but trust me if you try this recipe you will change your impression of this power packed veg. 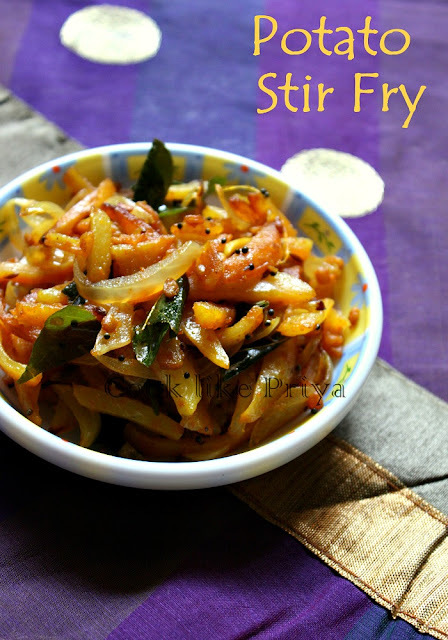 The addition of shallots and spices does give a lovely flavor to this recipe. Banana stem poriyal is a common side in any south Indian veg menu. You can pair this with any tangy curry or lentil. 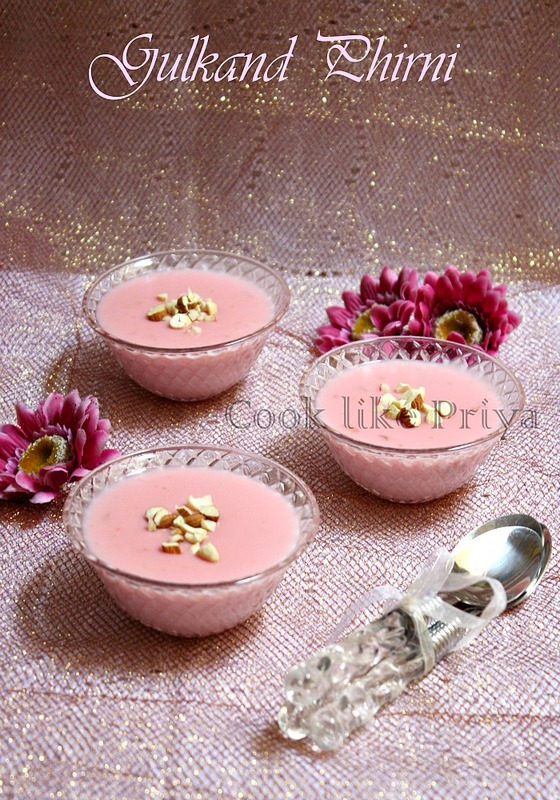 Phirni is a luscious dessert made with milk, rice/rice flour, nuts, sugar and flavoring. It has its roots from Middle East later an Indian favorite, most common in North India. A quick dessert to do and must be refrigerated to be enjoyed later. Can be made before hand and served garnished with nuts.